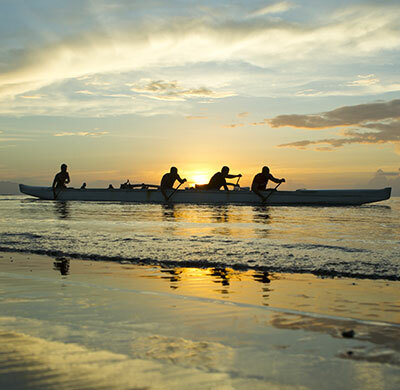 Travel to the neighboring islands is short, convenient and easily arranged. The domestic airline, Air Tahiti, is located at Tahiti Faa’a Airport and offers daily service between the most visited islands. 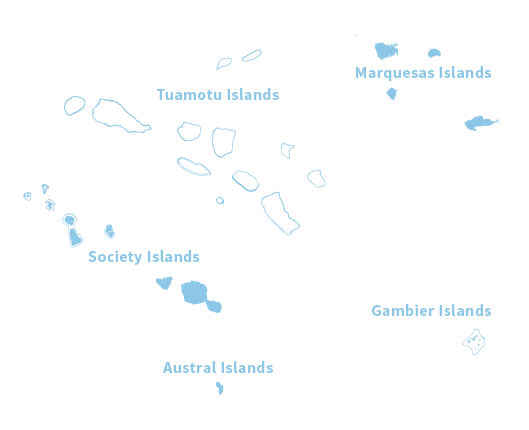 By boat, service varies based on destination: ferries run several times a day between Tahiti and Moorea while cargo schooners sail three times a week for the Society Islands, every two weeks for the Marquesas and the Austral Islands and once a month for Mangareva (Gambier Islands). *For further information, do not hesitate to visit our page about airline companies. 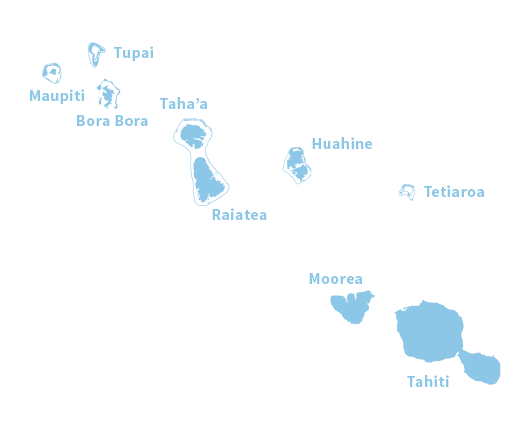 The Islands of Tahiti, island hopping by boat is also an option. 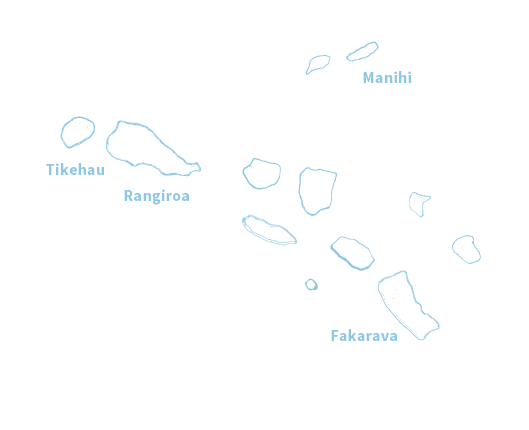 There is ferry service between islands that are not too distant from one another (such as Tahiti and Moorea or Bora Bora and Maupiti ) while cargo schooners, more picturesque and sailing to the Leeward Islands, the Tuamotu Islands, the Gambier Islands , the Marquesas and the Austral Islands , offer cabins and occasionally a space on deck. Among islands in a same archipelago, there are speedboats or small launches that can shuttle you back and forth. 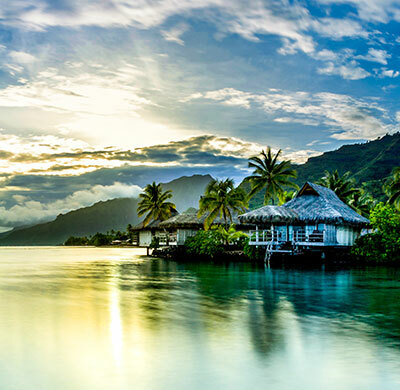 The sea link between the Island of Tahiti and her sister Moorea is one of the most used maritime routes in the world. This transport, daily used by people living in Moorea and working in Tahiti, offers convenient schedules, a comfortable and inexpensive crossing listing between 30-45 minutes (depending on the ferry) with over 10 rotations per day. 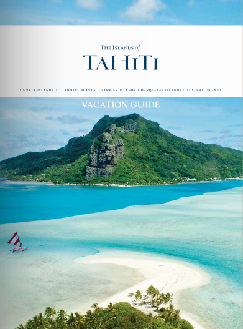 This crossing offers splendid views of lagoons and coast of Tahiti and Moorea. With luck, you’ll see whales during this crossing which give birth in the warm Polynesian waters every year.